Do events appear regularly on your website? Do your website visitors enjoy attending events? If the answer to these questions is “Yes!” then, most probably you’ll need to know about Event Calendar WD plugin. 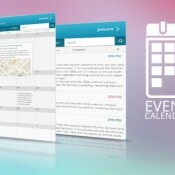 This WordPress event calendar is a responsive and highly configurable plugin, which will enable you to create, display and organize events on your website with minimum efforts.